Our man in the shed is back and that means one thing, and one thing only. More painted furniture and more neglected half drunk cups of tea. OK, so maybe that's two things, but we can appreciate the former more than the latter. Back from their buying trip on Monday, we've had some beautiful pieces return back from France. Featured is a sneaky peak of a before and after of a pair of gorgeous oak panels which have been lovingly and cleverly painted. 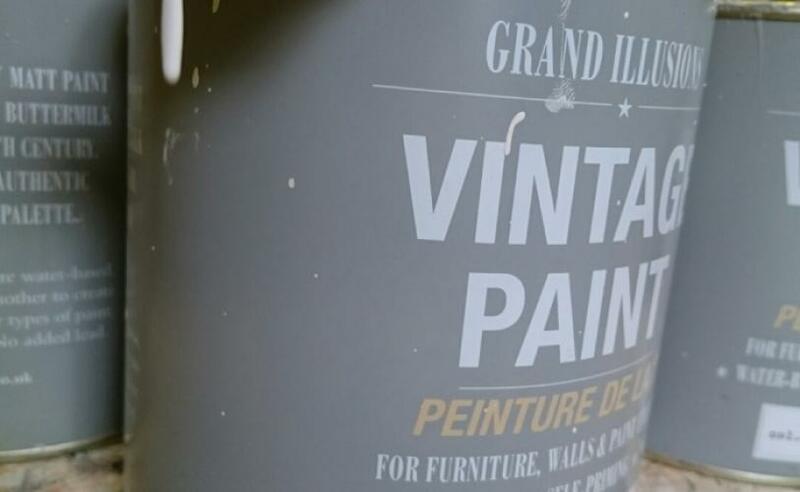 He has used a mixture of four subtly different colours of the Vintage Paint by Grand Illusions. He is always telling us just how easy it is to use and how it gives a silky finish...do you think he's maybe trying to get us to do some painting ourselves so he can finally finish one of those cups of tea! ?